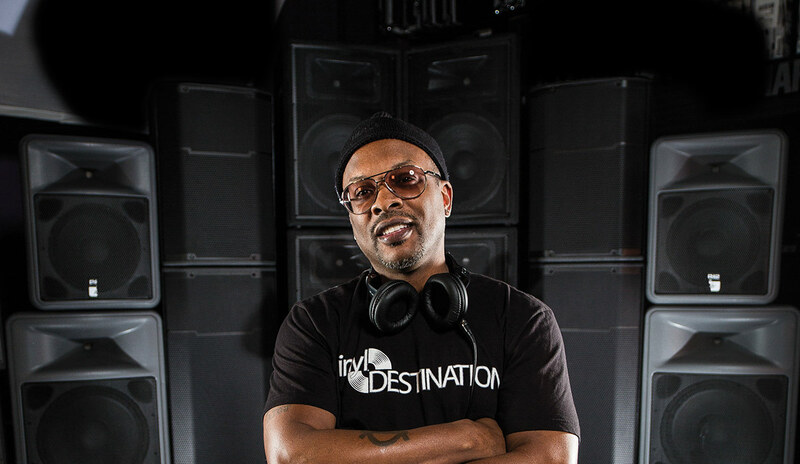 Jeff Townes, aka DJ Jazzy Jeff, might still be, for a certain swath of America, the guy who was always getting thrown out of the house on The Fresh Prince of Bel Air—but for hip-hop fans, he’s the Grammy-winning, ground-breaking, former world champion (1986) DJ credited with developing the “transformer” scratch, who also put the music behind Will Smith’s words for “Summertime,” “Girls Ain’t Nothing But Trouble” and “I Think I Can Beat Mike Tyson.” He’s also a well-respected R&B, soul and neo-soul producer whose production company, A Touch of Jazz, has been a force in working with artists like Jill Scott, Musiq and many others. It’s the mysteries of the process that keep him excited and exploring—the feeling that goes hand-in-hand with the creative act. “The creation process is amazing to me,” he says. “I’ve always said that, unless you do music, it’s really hard to understand that you’re really taking nothing and making it something. It’s amazing to people like my wife, or someone who’s not creative, for you to just sit down with a bunch of equipment and in 15 minutes have a piece of work that is something that you just made.